1.Sterile, thin, clear film dressing that provides a breathable yet waterproof barrier to outside contaminants,and also allows the patient to bathe without changing dressings. 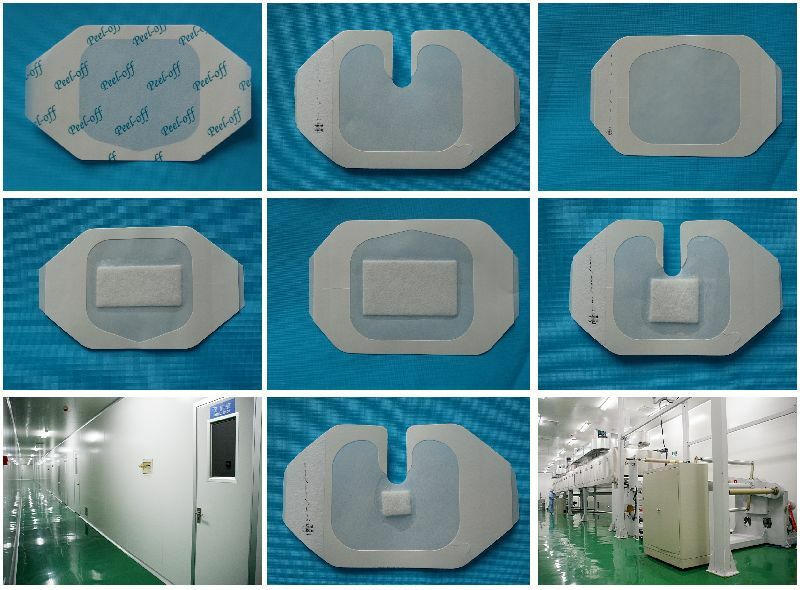 2.Transparent adhesive film is highly extensible and conformable, which combined with its moisture vapor permeability, means the dressing can be left in place for a long time. 3.Its transparency makes monitoring the healing process easier. 4.Protects postsurgical incisions and minor wounds, cuts, scapes, burns and blisters. 5.This minimizes interference at the wound site and reduces the amount of nursing time required. 7.Good absorbency for exudation from the wound. 8.Easy for peeling off and it will not stick to the wound and keep patients comfortable. 7. Variety of sizes: Different style ,more choices for clinic using. 8.Good absorbency for exudation from the wound.